While I'm sure that you're all on the edge of your seats for the next big event in Attack on Titan, I'd like to point the reader to another gem that's out this season you may have neglected a bit because of it. 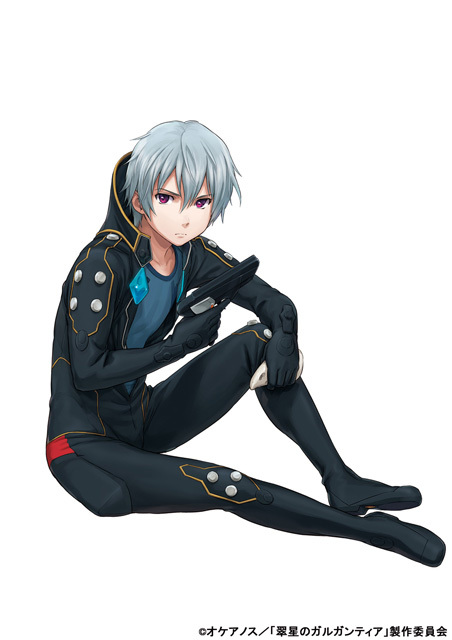 Yes, I'm talking about Suisei no Gargantia. Evil Cat briefly mentioned this in his New Season Release post for it, but the tone shift in Episode 1 near the end is drastic. Gargantia is in no way a Mech Battle anime. 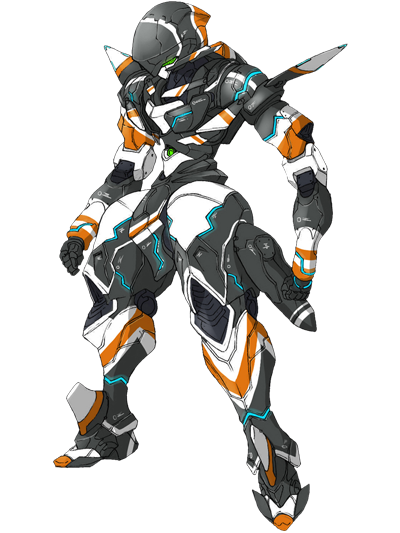 Gargantia is an anime with mechs in it, Not an anime about Mechs. If any of you put it down or dropped it on account of Episode ones appearance, I Demand you go pick it back up and catch up. This stories all about the guy on the right, not the left. If you don't like it after that, that's fine. Up to this point the story, while still maintaining a base level of interest varying from 1-3 out of 10 for the last series of episodes, has been more or less slow, that is mostly because of story, tone, and world building. Something you can't really do without in a good show. 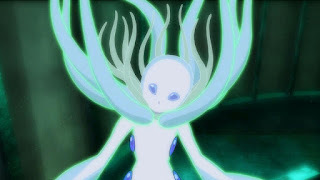 Episode 1 has proven to be a big tone builder, so even if you're completely against anything to do with Mech anime at this point, I'm imploring you, pay attention to Episode 1, it's important to understanding Ledo's character and personality, and if the most recent Episode is to be believed at face value at the end, it may also be part of the next big story and plot elements come Episode 11. Upon Episodes 6-9, things start to get serious at an exponential rate, culminating to a crescendo in Episode 9. If I was the type of person that could so much as remember my dreams, let alone distinguish whether or not they were nightmares, Episode 9 has a scene that very much so would have been several flavors of nightmare for me. I spent the rest of that day having to forcibly remove the scene from my mind whenever it popped up, unable to do my usual internal processing on it. This is an almost unheard of event for me, as I'm among those who say that to ever cease to think, is a grave evil upon yourself, and everyone around you. To have something strike me hard enough to force me to try to forget it, for any length of time, is very much a credit to it. In Summary: If you've ignored, or haven't been paying attention to this little gem this season because of Episode 1, Consider yourself reprimanded. The scene with this in it came closer to giving me nightmares than anything has for a very long time, and not in the way you might expect just from looking at it. The only anime I'm really following this season. Now that's not right. There's at least 4 good anime out right now that are worth watching, albeit one is a season...4? 5? of Index, so if you weren't already in to that, meh. But Dansai Bunri, Love Come Machigatteiru, and the ever obvious Attack on Titan, are all ones I'm following closely. If you're not big on Slice of Life or Comedy, you might want to pass up Love Come Machi, and Dansai Bunri is more or less an atypical Shounen battle toy, even if it is interesting for explicitly that reason. But Attack on Titan is clocking a hugely interesting story and characters, check that out.